The Swapper is a puzzle game that is all about cloning yourself in order to explore the eerie abandoned space station. The games visual and atmosphere elements are just as strong as the core puzzle experience. In The Swapper players get the chance to explore a futuristic research facility and space station known as Theseus. In this facility countless strange and potentially dangerous experiments were carried out every day which led to plenty of causalities and eventually the evacuation of the entire installation. This is the world you now find yourself in, were you sleeping on the job? Or maybe you were one of the experiments? 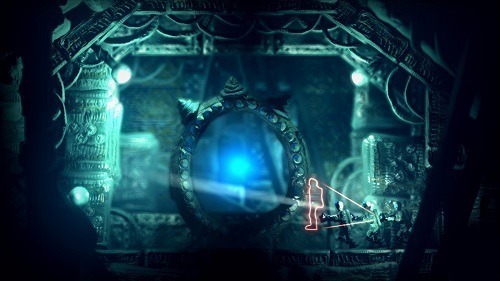 The Swapper lets you unlock the story as you adventure through the research facility solving a wide range of puzzles. By solving these puzzles players will find orbs and other useful pieces of technology to unlock new areas for exploration. Your only tool to solve these puzzles is a small hand held cloning tool that allows you to create copies of yourself. This tool offers two separate functions, the first allows players to create up to four clones of themselves at any one time and the second function lets you transfer your consciousness into any of the clones (provided you can see them). After a clone is created it will copy your actions in the game world, meaning if you walk right the clone will walk in the same direction and distance as the player provided nothing blocks their path. To help make this process easier and facilitate better puzzles the time in the game will slow down when using the tool. 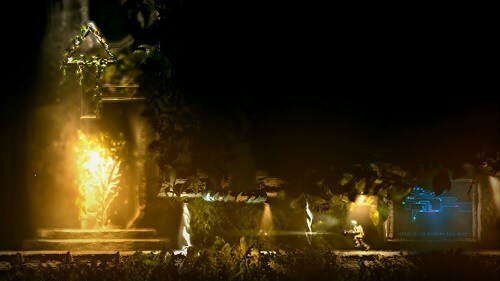 During later stages of the game players will run into a number of lights that block certain functions of the tool giving the game a great pacing to its puzzle evolution. Explore the abandoned space station Theseus. Discover the mysteries behind the evacuation and you. Fun cloning tool with two different modes. Great puzzle evolution with new mechanics appearing as you prorgress.